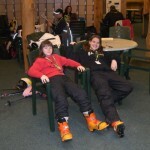 Telepalooza Telemark Ski Event is the Largest in the Mid-Atlantic for the Eighth Year Running. Telepalooza, a weekend gathering of telemark or “free heel” skiers is being held at Seven Springs Mountain Resort in Seven Springs, PA. The event features two days of races, lessons, prizes, food, beverage and fun. The photos above show founder Jim “Kapper” Kapp giving tips to those attending, Robert “Wags” Wagner at the registration desk, and the next generation at rest after a long tele day. This is the eighth year the Appalachian Telemark Association (ATA) has sponsored Telepalooza and it is anticipated to be bigger and better than ever. This multi-day, multi-event, multi-fun festival celebrates “free heel” or telemark skiing, a style that originated in Norway. 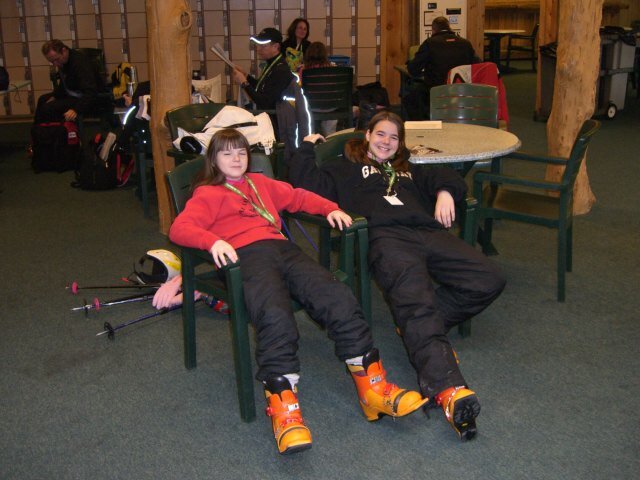 Telemark skiing is the predecessor of today’s downhill skiing and is experiencing a resurgence of interest. 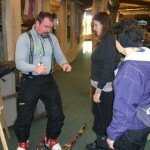 The skis are similar to downhill, yet the bindings and boots allow the boot heal to come off the ski. There will be lessons for children and adults, from beginner through expert from certified instructors. Children sixteen and under are free and discounted lift tickets are available. Demo equipment is available from Karhu, K2 and Garmont. Prizes awarded from great producers such as Cloudveil, Kahru, Leki and more. The price for two days is $99 and $79 for a single day (Saturday or Sunday). Early payment discount of $10. Tickets available on the web site www.telemarker.org Pay Pal is accepted. Discount lift tickets to Seven Springs Resort are available.